Why can’t I change the Name or UUID of my iBeacons? Under ‘Lock Screen’ in the Pass Designer select the ‘Beacon Details’ drop down menu. 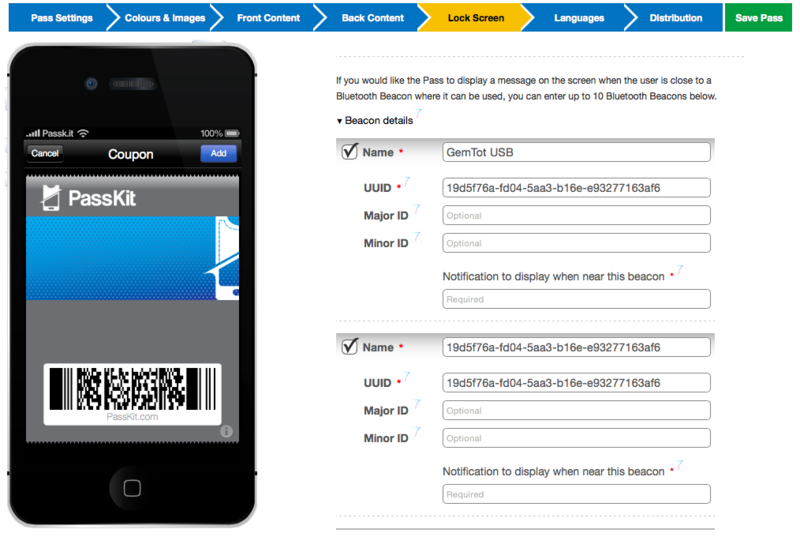 After entering a ‘Name’ for your beacon the pass designer automatically generates a UUID for you beacon. If you already have your own UUID, enter this in the ‘Name Field’ and it will automatically duplicate it into the UUID field.